Fabric found here is typically at least 10% below retail! 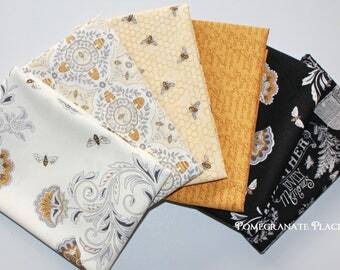 We enjoy offering HIGH quality fabrics at more affordable prices..
** Free Shipping on Continental U.S. order of $50.00 or more!!! ~Also, Please feel free to convo us with any special requests like fabric substitutions or questions you may have! 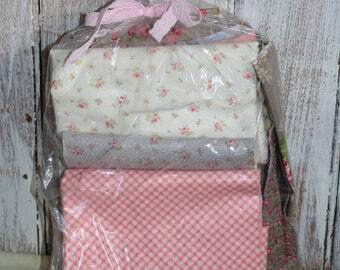 Poetry stripe Woven in Rose ... By 3 Sisters .. Moda fabrics..Blush 12023-24 .. your choice of 1/2 yard or 1 yard cuts. Now through August 3, 2018 -10% off Christmas fabrics in our shop. Victoria, Olivia, Chrissi, Kezia..The ladies at our house and little business..
We need fabric to sew! The girl's and I sew together, we make just about anything..we have to have fabric, so we buy what we think is beautiful, and we offer it for sale to you all!... ..Hope you enjoy our choices! Thank you for your purchases! Past, present, and future! My husband of 31 years, coming come from our 30th anniversary trip! I am thankful for all his support! Please read our policy on returns before ordering. Thank you. Refunds for fabric purchases will have a 20% restock fee deducted from the purchase price, but I will take returns on fabric that is returned in the condition in which it was received. We accept pay pal and now we have direct check out...Enjoy! We ship via USPS first class mail unless otherwise noted. Items over 15 ounces are shipped priority mail to United States...We can not be held responsible for items once they have been shipped. Thank you for understanding. We cannot accept returns, exchanges, or no delivery claims after 30 days from ship date. - Average shipping time takes 2-7 days. - If you do not receive your order within 10 days of your order being marked shipped, please contact your local post office or send us a conversation no later then 14 days after shipment.